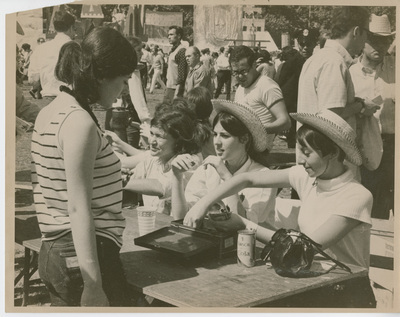 Sepia-toned photograph of three young women working at the Country Fair. The appear to be making change for a fourth young woman. Undated.